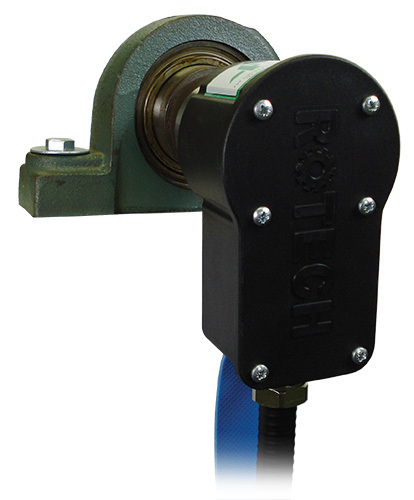 The 4B heavy duty polypropylene Rotech rotary shaft encoder is used primarily for protecting equipment and personnel from dangerous underspeed/belt slip conditions in extreme environments. Other applications include accurate speed control, direction of rotation detection, gate position indication and counting the number of revolutions of the shaft. An inductive sensing device in the body of the encoder detects a steel rotor. On slow speed or accurate position control, a photo diode detects the slots on a steel disk. One pulse is created for each rotor or slot so the unit can be connected directly to a PLC/computer or 4B control module. The shaft to be monitored is drilled and taped to take the 1/2 in. UNC Rotech Bolt. 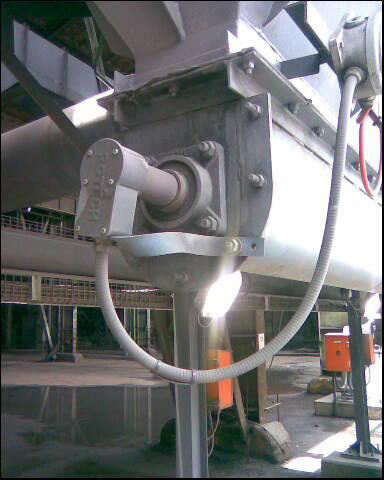 The unit is secured to the shaft with this bolt and is able to move with the shaft. 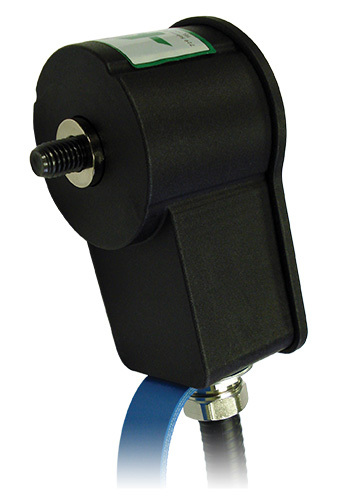 No guards are required as the rotating components are encased inside the housing of the encoder. No brackets are required as the encoder couples directly to the end of the shaft and floats with the shaft. 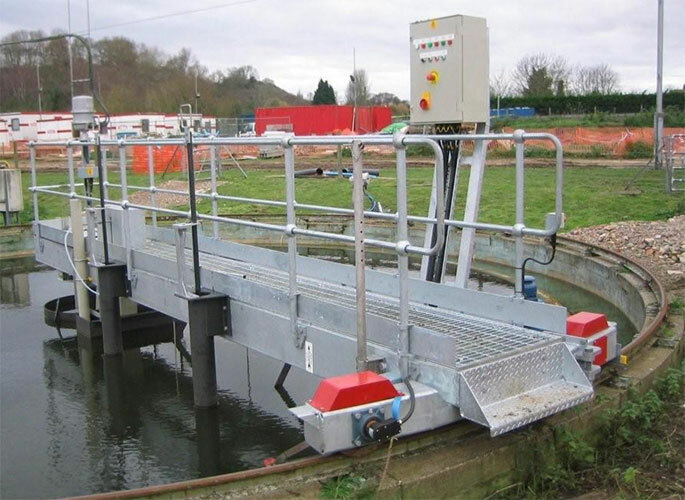 The Mag-Con (MAG2000) is an optional magnetic connector that screws onto the Whirligig and magnetically couples it to the shaft being monitored. The Mag-Con is made from stainless steel, has a holding force of over 150 lbs. and can withstand speeds up to 300 RPM. The Tacho is a low cost electronic display which can be user programmed to indicate speed, distance or time intervals. reassembling the back plate on the encoder.